There are lots of chances for rock climbing in Austin. Rock climbing is a great way to get exercise without having to endure the Austin summer heat. Read on to find a place where you can go rock climbing in Austin near you! This indoor gym offers bouldering. What is bouldering, you might ask? Bouldering is rock climbing without harnesses or ropes, on climbs that don’t get too far off the ground. At Austin Boulding Project, climbs top out at 16 to 17 feet with most between 13 and 15 feet. The floors are covered with squishy padded material so you’re protected if you fall. 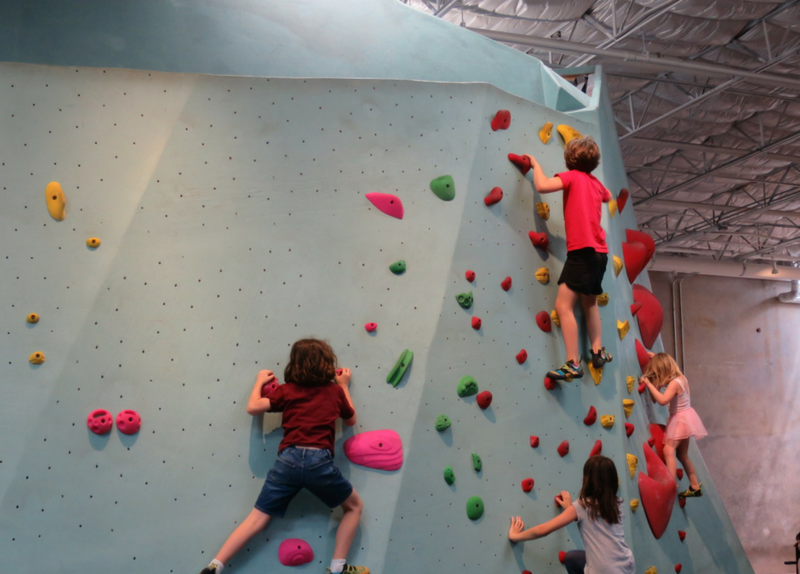 The gym offers several different memberships to fit anyone who enjoys rock climbing in Austin. On your first visit, you don’t even have to pay for shoe rental! Located in East Austin on Springdale near Airport. Austin Eastciders and Friends and Allies Brewing are right next door for a quick refreshment after a visit! This gym is just south of downtown on South Congress, convenient for anyone who wants to climb before or after work. Crux has both rope climbing and bouldering, so you can choose the sort of rock climbing in Austin you want to do! There’s even the option to auto-belay, meaning you don’t need a partner to rope climb. The owners of Crux are interested in being a community center as well as a climbing gym, so they have a lounge and regular social events. Plus, they are right next door to Cosmic Coffee and Beer Garden for a pre-workout pick-me-up. NARG offers bouldering in north Austin near the intersection of 183 and North Lamar. Their claim to rock climbing in Austin fame is “The Big Pig”. That’s a 24-foot bouldering wall that has some of the best indoor bouldering angles in the country according to the gym. NARG offers a 10 visits for $80 punch card, one of the best deals in town! Want to really “Hook ‘em” rocks? There’s a rock wall at UT’s Gregory Gym! Located in the heart of campus, you don’t have to be a student to get your rock climbing in Austin on! You’ll have to get a guest pass to climb here as a non-student. However, that gives you access to all gym equipment, racquetball courts, pools, and lockers in the gym too! Looking to climb into a new Austin apartment near the best rock climbing in Austin? Apartment Experts North can help! Give us a call or text at 512-339-4166!